From exploding Protoss Disruptors to a zippy new Terran melee charger called the Herc, StarCraft II: Legacy of the Void will bring us a whole bunch of rad multiplayer units when it's released... uh, whenever it's released. As part of BlizzCon, the folks at Blizzard published three new videos on the StarCraft channel today, breaking down some of the new and changed units we'll get to play around with in SCII's multiplayer. 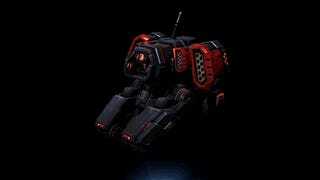 First, there's the Terran update, which shows off the aforementioned Herc and a speedy ranged unit called the Cyclone. You'll also now be able to pick up and drop off Siege Tanks while they're in Siege Mode. Game-changer. The Zerg will get a bile-spitting, Forcefield-destroying unit called the Ravager. And Lurkers are back, finally. Infestors and Corruptors get new abilities, and you'll be able to upgrade your Swarm Hosts to send out flying versions of those pesky little Locusts. The Protoss get a new unit called the Disruptor as well as armor tweaks for Immortals and a total Tempest redesign. Perhaps the most exciting 'toss change is the new Carrier, which can now deploy Interceptors to fight at specific target areas, rather than just going after individual enemies.